Prof Stefan Decker is a full professor at the National University of Ireland and the director of the Digital Enterprise Research Institute (DERI) in Galway. Prof Decker obtained in 1995 a masters in Computer Science at the University of Kaiserslautern (awarded with distinction). From 1995 to 1999 he worked towards a Ph.D. degree in Computer Science at the University of Karlsruhe (awarded 2002 with distinction). 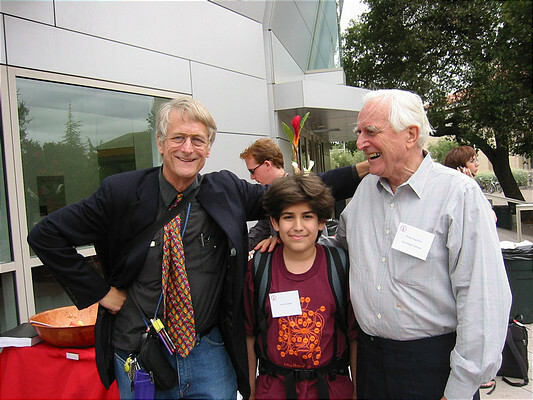 From 1999-2002 he worked as a Postdoc and Research Associate at the Computer Science Department of Stanford University and established one of the first Semantic Web research groups. From July 2002 to July 2005, he worked as a Computer Scientist and Research Assistant Professor at the Information Sciences Institute of the University of Southern California, USA. In October 2003 Prof Decker moved to Ireland to help to set up a new Research Institute concerned with the Semantic Web. Since July 2006 Prof Decker is full professor and director of the Digital Enterprise Research Institute. His current research interests include the Semantic Web, metadata, ontologies and semi-structured data, web services, and applications for Digital Libraries, Knowledge Management, Information Integration and Peer-to-Peer technology. He published around 80 papers as books and journal, book, conference, and workshop contributions. He co-organized around 35 scientific workshops and conferences and has edited several special issues of scientific journals. He was editor-in-chief of Elsevier’s Journal of Web Semantics, editoral committee member of the Electronic Transactions on Artificial Intelligence (ETAI) (the Semantic Web), the Journal on Internet Research and the Journal on Web Intelligence and Agent Systems (WIAS) and is recognized as one of the most widely cited Semantic Web scientists. His dissertation work was quoted as one of the inspirations for the DARPA DAML program, which span the Semantic Web effort. Prof. Stefan Decker is a professor at the National University of Ireland, Galway, and director of the Digital Enterprise Research Institute.Previously he worked at ISI, University of Southern California (2 years, Research Assistent Professor and Computer Scientist), Stanford University, Computer Science Department (Database Group) (3 Years, PostDoc and Research Associate), and Institute AIFB, University of Karlsruhe (4 years, PhD Student and Junior Researcher). He is one of the most widely cited Semantic Web scientists, and his current research interests include semantics in collaborative systems, Web 2.0, and distributed systems. Prof. Stefan Decker is a professor at the National University of Ireland, Galway, and director of the Digital Enterprise Research Institute. Previously he worked at ISI, University of Southern California (US), Stanford University (US), and University of Karlsruhe (Germany). He is one of the most widely cited Web scientists, and his current research interests include semantics for access to information and documents, collaborative systems, the Future Internet, Web 2.0, and distributed systems.